Want to ask us a question about United Soccer Academy? You've come to the right place! See below for a list of all our contact forms. Click on the link which suits your inquiry and fill out the form. One of our representatives will get back to you within one business day. General Inquiries - For all your general comments or questions. Private Lessons - Looking for private lessons? SDS Inquiries - Have questions about our Summer Development Soccer? Coaches Clinic - Want to develop as a soccer coach? 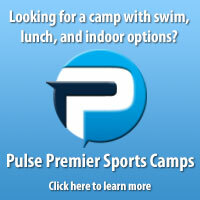 Host A Program - Want to host a soccer camp or program in your area? Indoor Technical Training Center - Want to rent our Indoor Technical Training Center? Presentation/Meeting Request - Want to receive a presentation about USA? Leave Program Feedback - Want to leave feedback on a current or recently completed program? Employment Inquiries? Please visit our employment site here. If you have a question that is not on the site, please fill out this form. Phone: (To Register for a camp or class): 866-345-2255.